Google Cloud, Dropbox, and Apple’s iCloud are among the many cloud based services that offer data storage in “the cloud”. Cloud storage is a cost effective alternative for businesses, and especially for businesses that have to manage mountains of in-house data. There are some security risks with cloud storage services because their data security programming is not developed enough to offer protection against hackers. All business owners – large or small – have data that needs to be securely stored. Cloud storage is attractive, especially to small businesses, because of the relatively low cost. Here are the steps that you can take as a business owner to reduce the risks associated with cloud data storage. Providers of cloud storage are all tackling security issues in a standardized way. As a business owner, it is important that you discuss who will have access to any files in cloud storage as well as the methods of data retrieval. You must understand how the encryption codes are managed. Business owners likewise must have confidence that the people who work for the service provider will not be able to have unauthorized access to the stored data files. Many companies are letting their employees use personal mobile devices for work. This could mean allowing them to access cloud stored data and documents from their personal devices. IT managers are not too fond of allowing anyone to access business information from personal mobile devices. If these mobile devices are ever lost or stolen, then the company has a serious security problem to address. This might entail shutting down access to all cloud stored business data until the lost device is secured, or moving all company data to a new account. Mixing personal data and business data is a poor practice. Although it is more expensive, it is a better practice to only allow employees to use company mobile devices. This practice vastly improves data security and is therefore a very smart investment. When you decide to move your business data to the cloud, be sure to back it up first. Data storage redundancies are vital in the event of a breach in security. Simple file syncing is not enough. All data files must be backed up with a separate external device that is held in a secure location and is protected with a unique password. Cloud data services are not totally immune to compute hackers. Although the cloud service providers are consistently improving their security protocols, there still is more work to be done. Any data that is stored in the cloud must also have an external back up so that the business can continue to operate in case of a beach in security. There are risks with storing business data in the cloud. Hackers relish the opportunity that is presented by data that is not securely stored in the cloud, and have been causing a lot of damage. Data is important to the functioning of any business. Sales data, contact information, profit statements, and consumer credit card information that is stored to speed up the check-out process must all be stored as if the life of the business was at stake. In reality, that is indeed the case. Failing to secure vital data can destroy the reputation of your business. It can also been devastating damage financially to your customers. 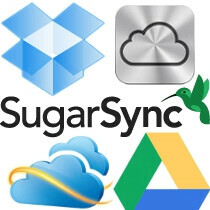 There are some great advantages to cloud storage, not the least of which is cost. But, before moving data to the cloud, you need to fully understand the risks involved and be able to protect yourself and your data. The future of your business will depend on it.